We get a lot of questions about traveling to Australia with a pet. It is an exciting and beautiful destination and worth spending time exploring with your pet. Australia just announced changes to its import policies which will make it easier and less expensive for pet owners to bring their dog or cat Down Under. Starting in February 3, 2014, pets will be able subject to reduced quarantine (30 days to 10 days) if they have a Blood Titer Test (RNATT) done between 6 and 24 months prior to entry. (Presently, regulations call for 3 months ahead of time.) This will reduce costs for quarantine, much less time spent away from our pets. There is another important change to the rules for pet import to Australia. Dogs and cats originating in non DAFF approved countries can enter Australia through an DAFF approved country as long as they meet the regulations to enter the approved country. No longer must pets reside in the approved country for six months prior to entering Australia. You will still need an Import Permit and your pet will need a 15 digit microchip and veterinary health certificate. There are also vaccination requirements and tests. 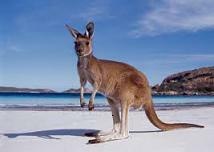 More information on taking a pet to Australia. If you are planning a trip to Australia with a pet and you already have an Import Permit, you can change your permit as long as you remit a fee and are not importing your pet until February 3, 2014. Need a pet friendly hotel in Australia? Yolanda – the titer test must have been done within 24 months of entering Australia and the blood sample must have been processed at an approved laboratory. (https://www.pettravel.com/immigration/australia.cfm). The quarantine was $29AUD last we checked. Shika – unfortunately, India is not an approved country for direct import of dogs and cats to Australia. Although you can start the process in India, about 6 weeks before travel, you must move your dog to an approved country for another rabies titer test and other tests and treatments. The entire process will take a minimum of 180 days to complete. You can find the requirements here and take note of step #7: https://www.pettravel.com/immigration/australia.cfm. Hi i want to bring my dog in melbourne from india . Plz help me with the procedure.